Incentives are not a strategy, they are tactics….. In the early 70s, I was a route supervisor at Schepps Distributing. The company brought in the first unique package of beer I had ever seen. It was called Barrel of Beer, from the Jos. Huber Brewing Co. The glass bottle was shaped as a barrel with a ring pull top. It arrived in a railcar and not on pallets. We had to unload it by hand which took us all day to accomplish. We immediately sold the first container, but after the consumer got a bottle they quit buying the product. Once the novelty of the package wore off, the consumers went back to their old beers. I can only recall selling two containers. By the mid-70s, Coors Brewing Co. still did not know the meaning of the word “marketing.” The brewery, not unlike many of today’s craft brewers, sold every single case it could brew, so why the need for marketing? The brewery was still known for their engineering expertise. Coors developed what was called “press tab one,” a can lid with two circles, one small and one large, which the consumer punched to open. Coors even developed an unusual opener that fit these two circles. After negative response from the market, Coors than came out with “press tab two,” now shaped as a triangle, where the consumer would press on one side, then the other. Conceptually, this new can design was highly acclaimed by many, including all environmentalist, however, the consumer rejected this new design and Coors eventually went to the now push tab can opening. 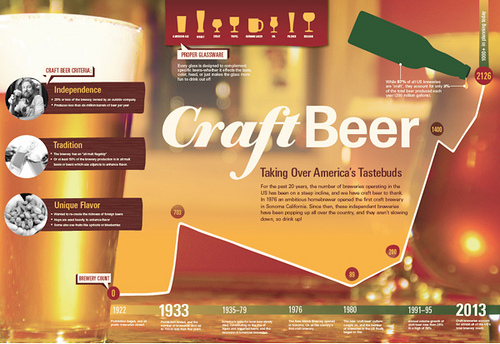 Throughout the decades, breweries of all sizes have tried or tested many unusual designs in an effort to create sampling and brand awareness with the consumer. Perhaps the one design change that impacted the industry the most was when Corona, once in a squatty brown bottle, went to a clear longneck one. For many years the early success that Corona enjoyed was attributed to just that, the clear bottle. It is not unique but the results are dramatic! Aluminum 16-ounce cans have recently been rolled out, MC with a 9 and 15-pack, and just last year, AB with an 8-pack 16-ounce package. These are offered to the consumer at a premium when one looks at per ounce pricing. These packages are in demand just for the resalable can. Founders Brewing Co., which sells its beer at the upper end of the high-end pricing, decided to roll out its highly successful All Day IPA can in a 15-pack, priced at 12-pack pricing. In other words, three free on 12. This tactic is a great incentive to get the consumer to sample Founders sessionable IPA. One might expect other crafts to follow soon with similar packaging. Meanwhile, AB decided to increase their 24-ounce cans to 25-ounces, while not raising prices. The industry will not know how successful these new packages will be until the end of the summer, but early indications are mixed. Some AB wholesalers are reporting no change in trends but some, in highly concentrated c-store markets, are seeing increases around +six%. AB has told its wholesalers, it is now working to increase sales volume after years of declining sales and market share. Perhaps AB should study Founders Brewing Co.’s strategy and their idea of tactics. A one-ounce increase is a tactic, not a strategy. No matter where I go, there I am…..
Chico, California is a small college town just north of Sacramento. It is the home of Sierra Nevada originated in the 1980s. Outside of Sacramento, the closest major market is San Francisco, thus it is no surprise that Sierra Nevada initially targeted that market. As Sierra developed northern California, they focused on their flagship product, Pale Ale. As Sierra expanded and moved east, the brewer offered only two other flavors in addition to Pale Ale, a porter and a stout. Both were available only in six packs. 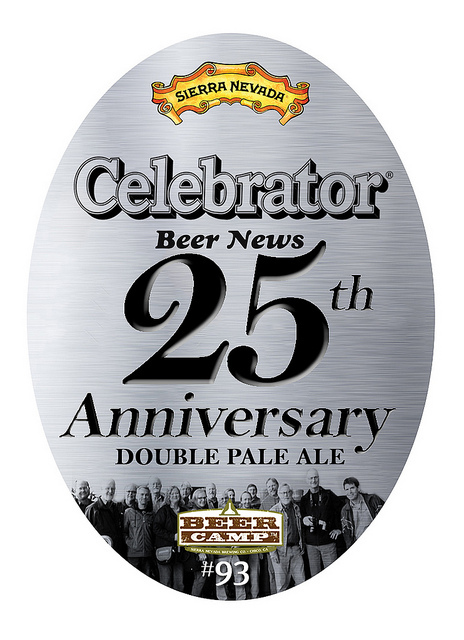 While at Glazer’s in the early 2000s, we were able to buy the Sierra Nevada distribution rights for the state at which time, we went over 100K cases in sales, more than 90% of which was Pale Ale only. When New Belgium entered Texas in 1999, their flagship brand was Fat Tire. While they offered two specialty beers, they also offered two supporting brands, Sunshine Wheat and Blue Paddle. As with Sierra Nevada, Fat Tire represented over 90% of the volume. Historically, when Jim Koch started Boston, their flagship brand for years was Sam Adams Boston Lager. It is still that way today, even given the huge amount of flavors Boston now offers. In the early years of these great crafts, the major markets close to their homes, San Francisco, Denver, and Boston, supported all of the flavors the breweries offered. As these breweries expanded around the country, it was clear they all were known for their flagship brands. The industry might call this the “300 mile” rule. What this really means is when a successful brewery expands outside of a 300 mile radius of its home; its success is predicated on having a leading brand. Without one, the brewery’s success is limited at best. Back in the late 1990s, Founders Brewing Co. started brewing in Grand Rapides, Michigan. For many years it enjoyed solid growth, mostly in its home state, but soon expanded with some success. 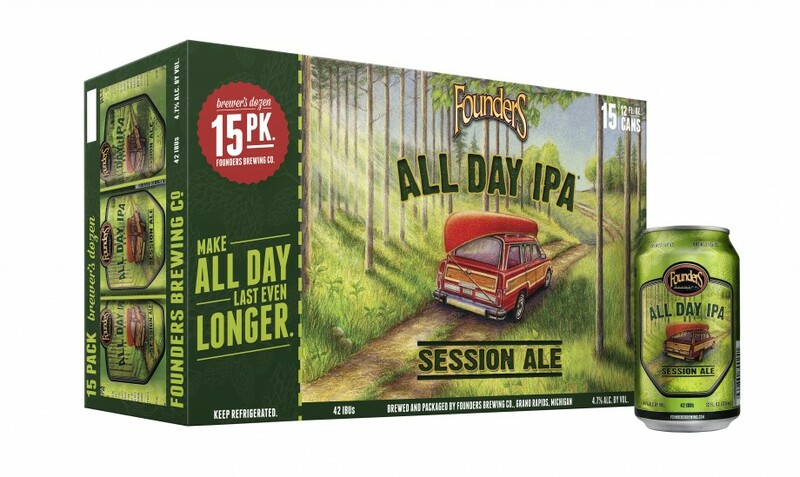 In 2010, Founders introduced a seasonal, All Day IPA, a very sessionable beer. The beer took off like a rocket and is now, by far, Founders’ number one selling brand. Founders is just beginning to hit the market with a 15-can-pack at 12-pack pricing. This package could be huge for Founders. If it is, look to see other crafts doing the same with their cans. What is important with these highly successful craft brewers is that they have flagship products which anchors their portfolio. Distributors can build on this and the flagships, in turn, supports the other flavors. Recent highly successful additions include Sierra Nevada Torpedo, New Belgium Ranger, and Deschutes River Ale, just to name a few. The personification of this is Boston Lager. Sam Adams has a huge portfolio of successful brands, yet the new Rebel IPA seems to be the brand of the future, notwithstanding the enormous success of Angry Orchard Cider, which is now included as one of Boston’s leading brands. A couple of years after the expansion of Coors in south Texas, their market share had settled in to around 13%. Schlitz remained a strong number one. Coors had a difficult time developing the on premise so when I arrived in Wichita in 1978, I felt I had landed in heaven. Coors market share was over 60% and you could go into any bar and every single beer drinker had a Coors in their hand. Coors owned the on premise. In general, whoever controlled the on premise was the market leader in sales. Since the recession started, beer sales in the on premise have declined at an alarming rate. Total beer volume was down -4%. In 2013, premium lights are down -10.9%, premium regular beers are down -7.4%, followed by imports at -6.1%. Crafts, however, are +3.8% in volume and +7.0% in dollars! In fact, crafts are now at an on premise share of 28.5% verses premium lights share of 26.8%! I recently visited two small local craft breweries, Peticolas and Grapevine. Peticolas began brewing three years ago and Grapevine just started brewing around Thanksgiving. Both breweries have state-of-the-art equipment, having invested hundreds of thousands of dollars in their operations. Currently, both only sell kegs and no packages, however, they have the square footage to expand when ready to install the equipment. Both Peticolas and Grapevine self-distribute. In the DFW area, Peticolas now has over 300 draft accounts and Grapevine over 70. Grapevine also self distributes in Austin, where they have 20 draft accounts. Going back to over three years ago, before either of these breweries existed, it is highly likely that these 400 handles were pouring either an AB or MC product and serviced by either Ben. E. Keith or Andrews. These wholesalers now have to sell against these craft breweries when they used to have this business. Both their brands and this business are gone. Given the current trends in craft sales, unless the distributors can get distribution rights to these brands, these 400+ handles are not coming back to them. Both BEK and Andrews have made presentations to both companies and want to distribute them. The question becomes, what will happen in the off premise when breweries such as Peticolas and Grapevine start to produce packages? The market share for crafts is much higher on premise than off premise, but is that misleading? What happens if these two breweries decide to merge their distribution function into a JV? What if out of state crafts join them and a business model such as Chicago’s Windy City is created? The state franchise laws supported by wholesalers, and designed to protect them from vendors, are now prohibiting these wholesalers from adding crafts brands like Peticolas and Grapevine. Craft brewers want options and franchise laws limit or eliminate those options. These are just two of the many craft breweries now producing beer and a number of these breweries self-distribute. Traditional brands carried by wholesalers are losing share and handles, especially in the on premise. Soon it will happen in the off premise. The dam is leaking for the AB and MC brands and the hole is getting larger. The traditional wholesalers see it and feel it, but they cannot stop it. In fact, they are in search of the proverbially famous young Dutch boy who heroically put his finger in the hole in the dyke to save his town…Hans Brinker. But is it too late? Experience is one thing you can’t get for nothing.. The last seven of nine Ryder Cup matches between the US and European teams have been won by the Europeans. The PGA of America selects the captain for each event, historically choosing a captain in their mid, to late 40s, with the thought that they would be familiar with the tour players who were generally younger. In the 2012 Ryder Cup, the US team had a four point lead going into the singles competition and still they lost. The PGA of America, tired of getting beat, changed direction and appointed Tom Watson, this year’s captain. Watson, now 64 years of age, has appointed Ray Floyd and Andy North, co-assistants, both of whom are also in their 60s. The PGA’s has appointed leaders with experience who know how to win and take the 2014 team to victory. While I was running Warsteiner, the agency had about 260 wholesalers in the US. While that number is small compared to the number of AB or MC wholesalers, Warsteiner had multiple wholesalers who had distribution rights for the brand statewide. Ten years ago, Glazer’s had Warsteiner in 12 states representing around 22% of Warsteiner’s US business. I often get the question from craft brewers: which are better, a statewide distributor, or a local distributor? It is not an easy question for anyone to answer as both models have their plusses and minuses. The next question I am frequently asked is: how do I manage this new territory? Who can I hire? As I have discussed in several past postings, craft breweries initially hire sales reps to fit their culture. This usually works as long as the sales continue to grow equaling production capacity. Then there comes a point when ownership realizes that getting to the next step requires professional help. This takes courage for the brewery to go this route. The number one request from a distributor who wants to see a vendor be successful is that the vendor needs to put a sales rep in the market. This can, however, be economically unfeasible to any vendor. Just as a distributor cannot have a sales person for each account, a brewery cannot have a rep for each market. The beer industry continues to struggle, but why? Pabst is now looking for its fourth CEO in five years! NAB is looking for a new CEO to turn around its declining trends. 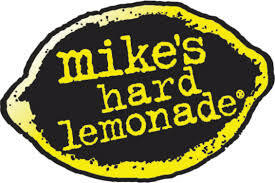 Mike’s is changing its go-to market model, by eliminating experienced beer sales people and hiring younger, inexpensive people with the idea of churning and burning. This is simply putting feet on the street, but accomplishing very little other than to make the wholesaler feel good that there is a rep in the market. Wholesalers complain to vendors about the quality of their hires who are young and inexperienced. At the same time, it is the position of most vendors that the wholesaler has a lack of focus on their brand, or a lack of internal skill sets to sell crafts! Both tiers need to have realistic expectations from their business partners, however, in doing so; they both need to understand the value of having experienced beer professionals. Experience is one thing you can’t get for nothing!